This year a lot happened to the Accidental Locavore and in the spirit of a year-end round-up, here’s a look back at some of the cool stuff from 2013. It’s not in any particular order and it’s not all about food. Enjoy, and Happy 2014! Jose Garces lunch: While they say there’s no such thing as a free lunch, this one started out free, but my lust for a BlueStar range may end up costing me thousands. 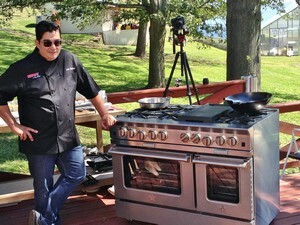 As a guest of theirs for a launch party I was invited down to Chef Garces’ farm in Pennsylvania. It was a wonderful day, filled with great food in a lovely setting, with a charming host. Legends of the Ice: This time I was a guest of P&G and Walmart for the taping of a skating show soon to air on NBC. As a lot of you know, I skate and this was a great opportunity to watch American skating icons, past and present, from a center-ice perch, followed by an after-party where I got to meet the skaters-so cool! Look for a longer post at the end of January. 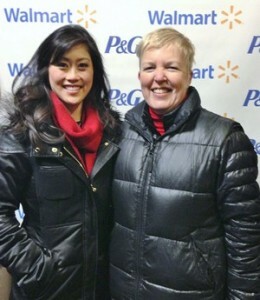 Kristi Yamaguchi: As part of the P&G events, they and Walmart donated all the skates for the Kips Bay Boys and Girls Club in the Bronx. On a very cold evening, meeting and interview Kristi was worth a (long) trip to the Bronx. She was charming and we had an interesting conversation about skating, concentration and the current scoring system. This too, will be an upcoming post, so stay tuned. 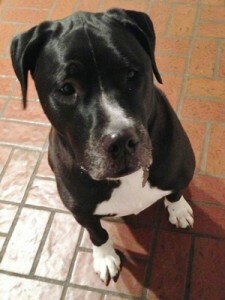 Rescue Rif: Probably the most life-changing (or life-style changing) thing that happened in 2013 was when we decided to rescue a dog whose owner died suddenly. There was something very appealing about Rif’s photo on Facebook and he’s now become a much loved member of the family, even inspiring DIY dog biscuits. Gabriel Rucker: Of all the classes I’ve taken at DeGustibus at Macy*s, this was definitely in the top two (the pre-holiday one, years ago, with the truffled grilled cheese sandwich is right up there too). He was charming, generous and made a memorable meal. I’ve made his sauce for the rabbit sausage and it was delicious. 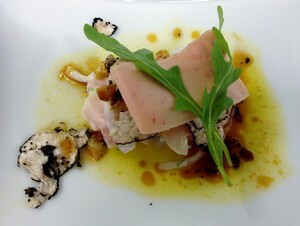 Next up, the pork confit and some of the salad dressings from his book, Le Piegon. Mazatlan: Sponsored by the Mazatlan tourist bureau, I was invited to a long weekend on Mexico’s Pacific coast. It’s the first time in years, that I’d been to Mexico and it was great to be back there! 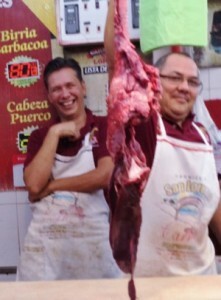 Everyone we met in Mazatlan was so enthusiastic about encouraging visitors and the food was terrific! While a visit to the market with a vegetarian wasn’t my smartest move, we did have a lot of laughs about it. 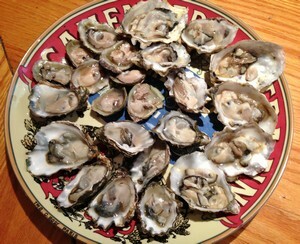 Oysters: A frustrated post about oysters (or lack of them) had incredible repercussions! Before I knew it, Jon Rowley of Taylor Shellfish Farms was in touch with me, wanting to make up for my failed Groupon. Although my absolute favorite oysters, the Totten Virginicas were done for the year, we indulged for days on Pacifics, Kumos, Olympias, etc. and I got very good at shucking oysters. What a treat! 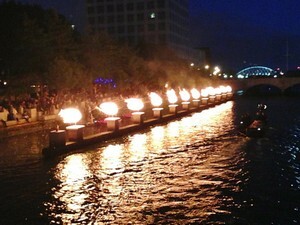 Waterfire: A trip to Providence, RI for the Taste Trekker’s Conference coincided with Waterfire, an event where a series of cauldrons in the river are filled with logs and lit by black-robed creatures riding in a Venetian-inspired gondola. The night I was there it was windy, which accelerated the fires and sent sparks flying-very dramatic! Along with a couple of days of great eating, it was the best time I’ve had in Providence in many years!